Mr. Trask is President of Trask Land Company and Vice President of Autumn Hall, Inc. Mr. Trask is responsible for all aspects of day-to-day management, strategic planning and long range planning. Mr. Trask’s approach to real estate is unique in that, despite a constantly changing marketplace, he is able to produce developments that enhance and sustain the cultural and environmental fabric of a community. The North Carolina Chapter of the American Planning Association noted Mr. Trask’s “strong commitment and actions to preserve natural resources, create a walkable community and incorporate local, historical and architectural elements.” Mr. Trask served on Wilmington, NC’s Unified Development Ordinance Steering Committee from 1993 to 1996 and participated in crafting the City of Wilmington Future Land Use Plan during that same period. 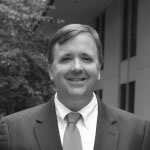 He previously served on the Finance Committee for the NC Coastal Land Trust, The Cape Fear Community College Foundation Board of Directors (Finance Committee), Board of Directors of the Greater Wilmington Chamber of Commerce and the Board of Trustees for Thalian Hall. In 2008, Mr. Trask earned the Marvin Collins Distinguished Leadership Award in the Citizen Planner category presented by the North Carolina Chapter of the American Planning Association. The City of Wilmington nominated Mr. Trask for this award which recognizes nonprofessional citizen planners for outstanding contributions to planning programs or activities. Autumn Hall also earned several awards and designations in 2008 and 2009 under Mr. Trask’s management. Autumn Hall earned awards for both Use of Native Trees and Outstanding Tree Preservation from the City of Wilmington. Metro Magazine awarded Autumn Hall with its Metro Bravo award in the coastal development category for two consecutive years. Most recently, Mr. Trask’s commitment to environmental preservation earned Autumn Hall the Significant Achievement Award presented by the Lower Cape Fear Stewardship Development Program. In June 2009, Mr. Trask was appointed to the North Carolina Economic Development Board by Governor Perdue, where he served on the Innovation, Technology, Workforce and Education Committee in 2009 and 2010. He served as the Board’s contact person to the Southeast Partnership for Economic Development until resigning in June of 2011 in order to serve on the UNC Board of Governors. In June of 2011, Mr. Trask was appointed to the UNC Board of Governors, where he served as the Secretary for the Education Planning and Public Affairs Committees and was the chair of the Special Committee on Military Affairs. Raiford completed his 4 year term on the Board of Governors in June 2015.